Sir Arthur Conan Doyle’s campaign for better armour on the Western Front. Read more about Sir Arthur Conan Doyle's Campaigns here. Credit: Royal Armouries, DOY 1-7 Walker 1 Letter from George Seaborne. Credit: Royal Armouries, DOY 1-16 Seaborne. Credit: Royal Armouries. Dayfield Body Shield, Heavy Model, 1916. 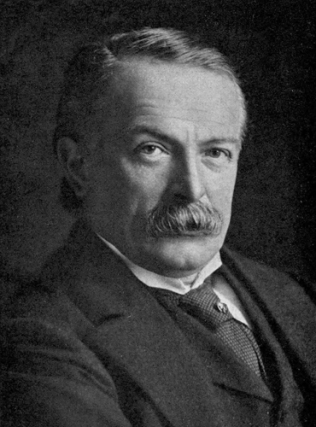 David Lloyd-George. When the First World War broke out he was one of a number of famous authors who were secretly recruited by the War Propaganda Bureau to write in support of the Government’s view of the war, and to promote Britain’s interests at home and abroad. However, Conan Doyle also used his fame to campaign on behalf of British soldiers who were “fighting for the freedom of the world”. In the first half of 1915 the British Army suffered 65,250 casualties during the Second Battle of Ypres (22 April - 25 May), and a further 27,809 in the Second Battle of Artois (9 May - 18 June). Conan Doyle wrote to The Times suggesting that either the generals change their tactics, or the troops be supplied with helmets and armour to reduce the number of casualties. He reminded readers of the Australian outlaw, Ned Kelly, who had used homemade armour to resist arrest, and the numerous instances where a bullet had become lodged in a watch, cigarette case or bible carried in a breast pocket, and so had saved a man’s life. He also proposed that on those occasions where troops were asked to attack a heavily defended positions, large shields made of armour plate and mounted on wheels could be used, linked together in a manner similar to a Roman testudo, to provide a large body of troops with complete protection from enemy fire. 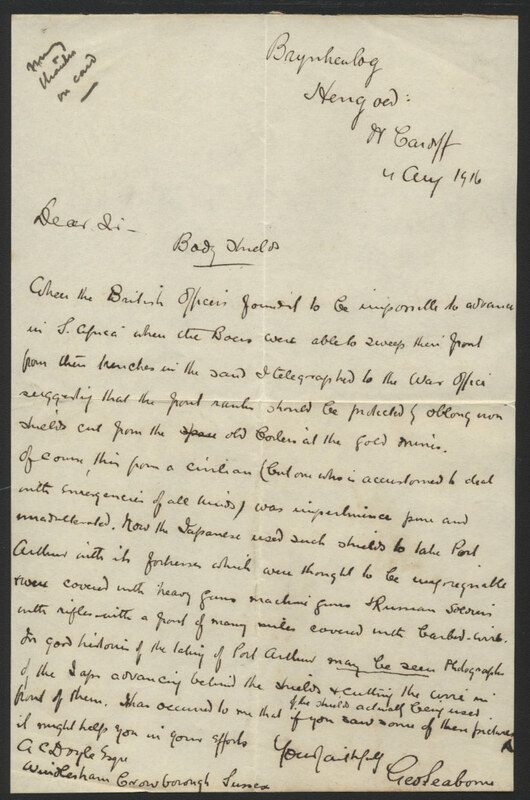 Read Part One, “Conan Doyle’s letters to The Times” on the Royal Armouries blog. 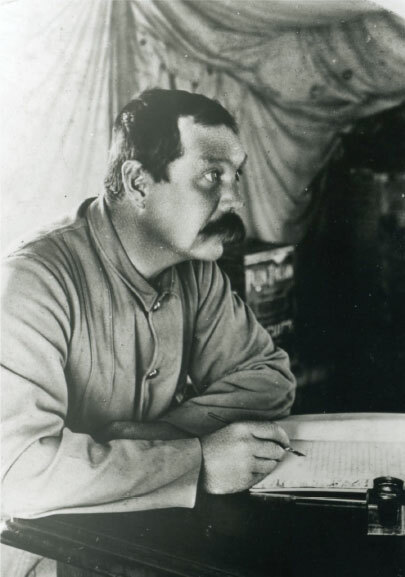 Sir Arthur Conan Doyle’s own letters to The Times and The Observer resulted in a number of responses from private individuals who shared his concerns, many of whom had their own ideas on saving the lives of British soldiers. George Seaborne, a former colliery owner from Hengoed in Glamorganshire, wrote to him recalling how during the South African War he had suggested to the War Office that British troops fashion shields made from old boilers in the gold mines to protect themselves from Boer rifle fire. 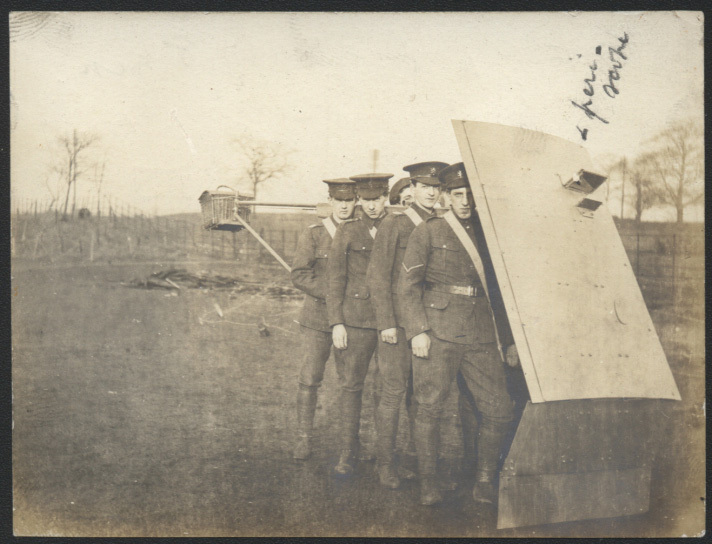 He also observed how the Japanese had used shields with some success during the Russo-Japanese War, and wondered whether photographs showing their use in the attack on Port Arthur might help Conan Doyle in his endeavours. (See letter). Read Part Two, “Cranks and Lunatics” on the Royal Armouries blog. 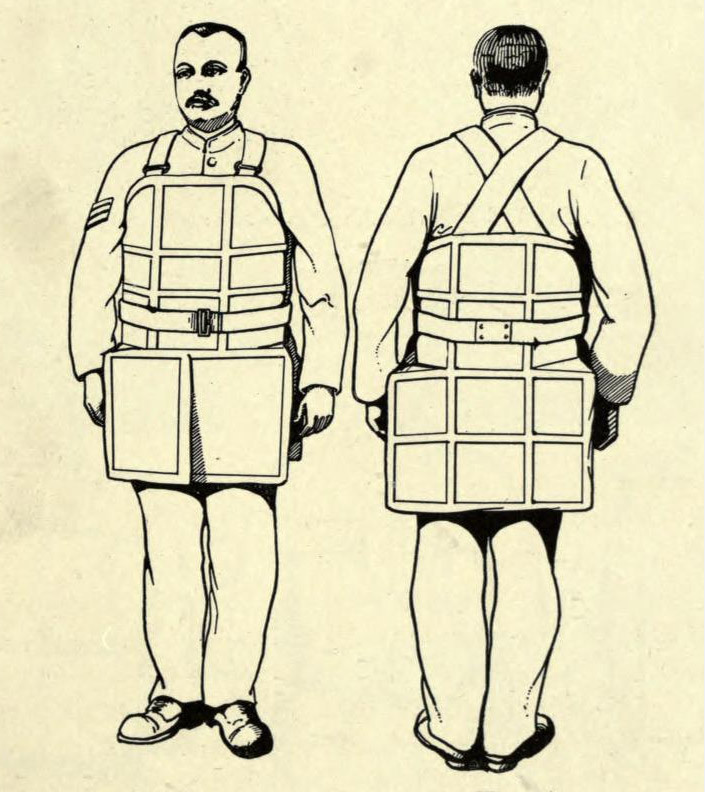 Conan Doyle also received an example of the Dayfield Body Shield, which was made by the Whitfield Manufacturing Company. The Dayfield was probably the most popular of all of the privately manufactured body armours, and was widely advertised in newspapers and magazines as “an invaluable gift to send to your soldier father, brother, husband, son or friend”, and claimed to be proof against bayonet, sword, lance, spent bullets, shrapnel, shell splinters and grenade fragments. Read Part Three, “Private Companies” on the Royal Armouries blog. When Conan Doyle sent his ideas on body armour and shields to the Inventions Branch at the War Office, the responsibility for the production and supply of munitions was passing from the War Office to the Ministry of Munitions. Papers in the Parliamentary Archives show that the new Minister, David Lloyd-George, took an interest in Conan Doyle’s campaign from the outset. By the time that Conan Doyle wrote to Lloyd George, now Secretary of State for War, in July 1916 the field trials had been completed. The Dayfields were rejected as being too heavy and cumbersome, but Haig asked for 400 modified sets of the MID body shields to be issued to every Division in France and Flanders. Read Part Four, “The Official Response” on the Royal Armouries blog. Credit to The Royal Armouries. Source.